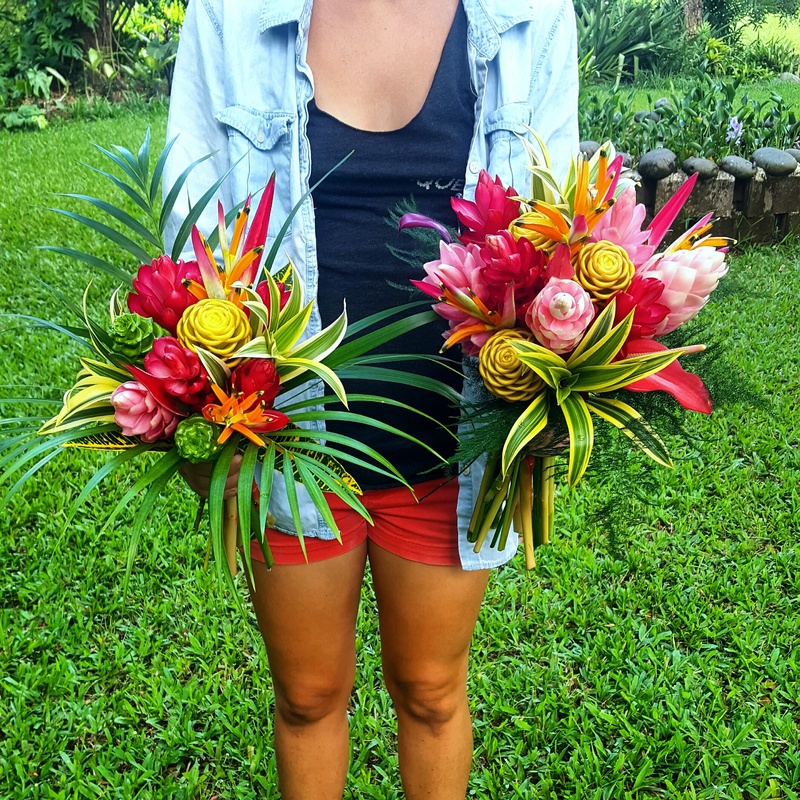 Your wedding is a very special event and Hana Tropicals will send an abundance of seasonal exotic tropical flowers and tropical greenery for you to arrange as you wish. 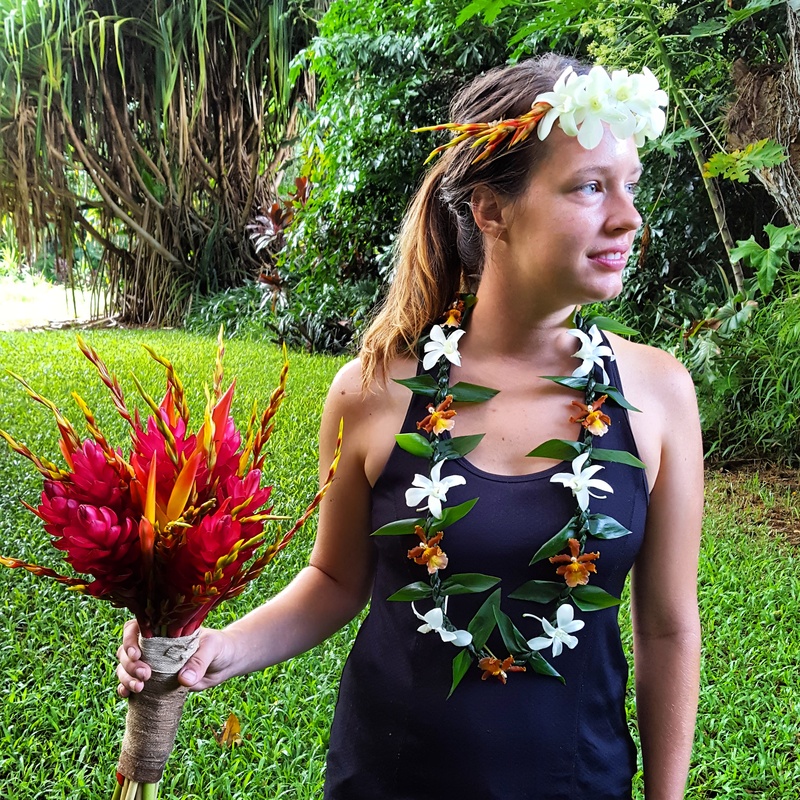 Hana Tropicals will also ship traditional Hawaiian Leis for you and your spouse together with any other special guests. Please email htropicals@gmail.com or call 800.456.4262 and we will be very pleased to discuss your requirements together, giving advice upon the quantities and types of flowers to fit your budget. Our flowers are Farm-Direct, providing you with the most value and freshest flowers. We have experience in creating exquisite Bridal Bouquets, such as the one pictured above. 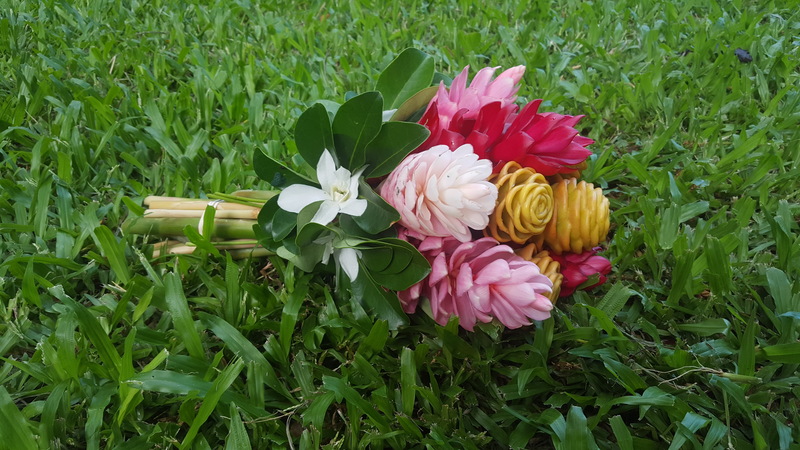 Our bouquets are completely customizable, so please contact us to discuss details. 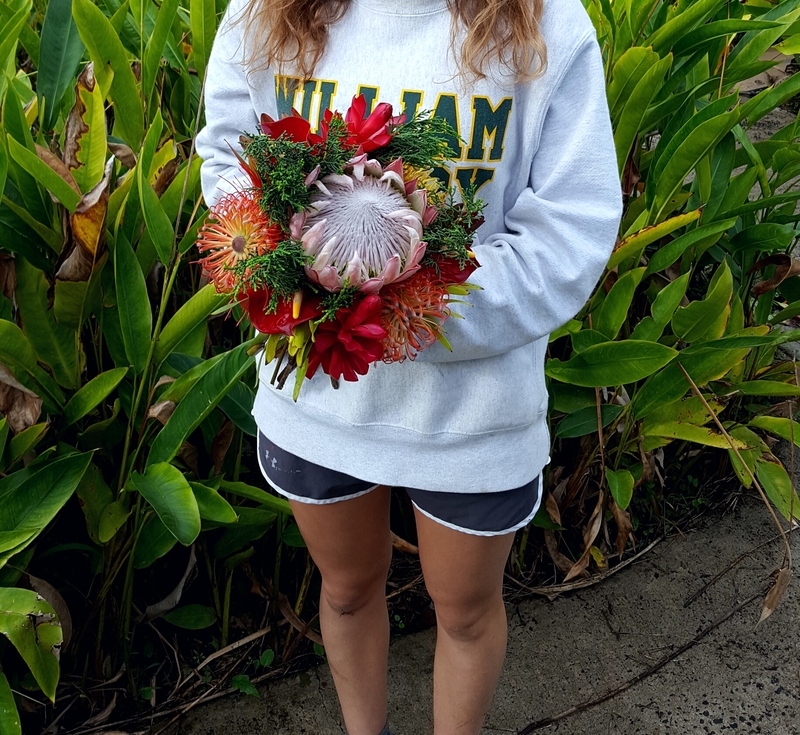 Our tropical flower farm is open to hosting your wedding ceremony here in the outskirts of Hana, Maui. We have a serene stone Labyrinth surrounded by lush tropical foliage and flowers. It is the perfect spot for a mystical, blissful wedding ceremony. Please contact us to check for availability. We give many thanks to Aubrey and Conor for letting us use their photos from their wedding shoot here at Hana Tropicals.